Home → Portfolio → Cohen Ruiz, P. A.
Cohen Ruiz, a client of PN+L’s from their initial office build-out in 2001, has been a dedicated one. 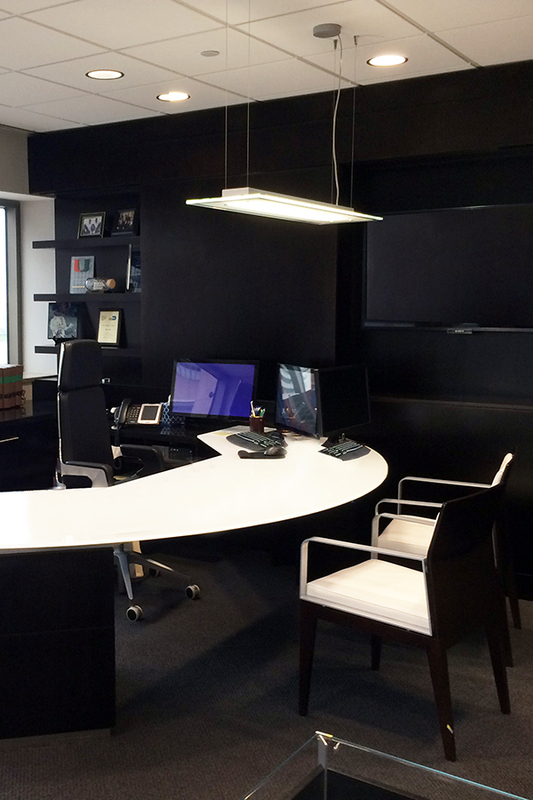 Located on the 8th floor of the prominent Miami Center office building in downtown Miami, PN+L set out to freshen up their office space. 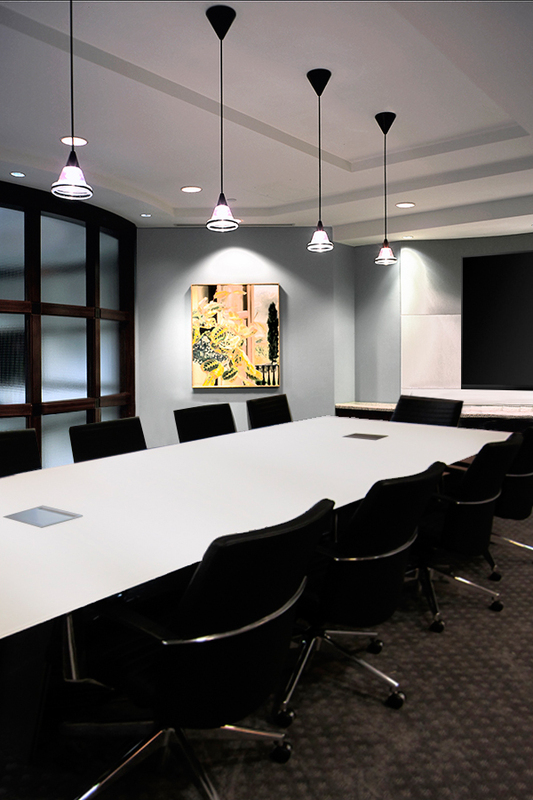 A new, modern, frosted white back painted glass conference table set the tone for their larger conference room, adjacent to the rotunda reception space. 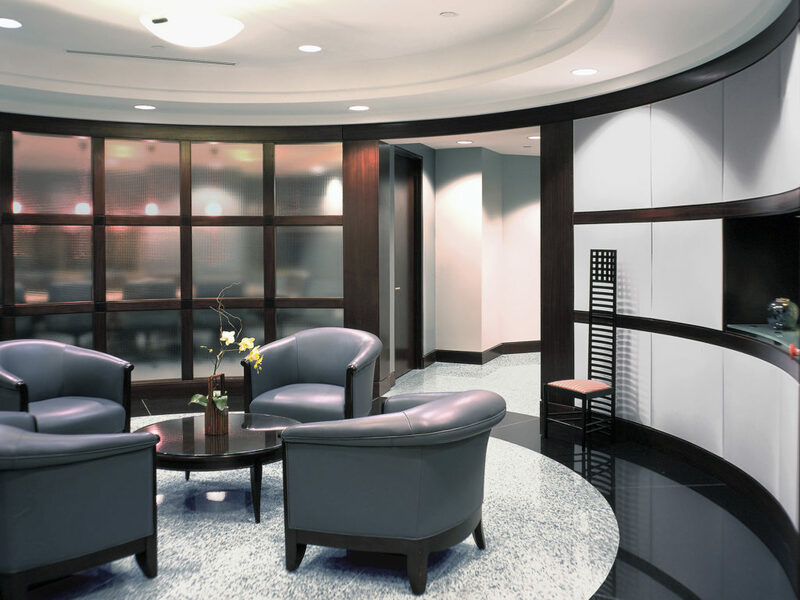 An existing artistic art glass wall separating the two spaces helped meld together the glass finishes, while the new, yet modern, plush leather executive chairs brought softness to the space. 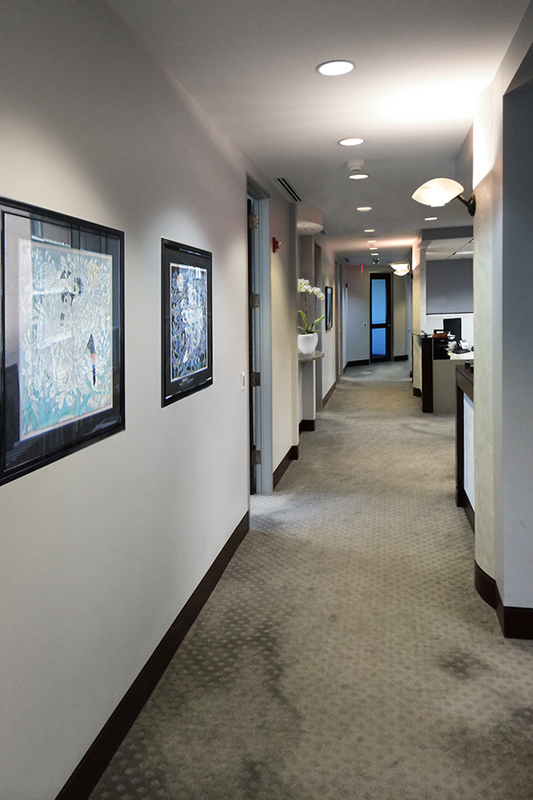 New carpet was installed within a black marble border, flowing from the reception area into the conference room. Updated technology was brought to the space, helping to bring functionality and usability of the room to the next level. Coordinating with the conference room carpet, the new carpet continued to the back offices, where the secretarial stations were freshened up and the walls received a fresh color change in paint. Partner and Associated attorney offices each received new carpet and new paint for continuity of the fresh modern look. In the adjacent spaces, dark walnut wood and black accents mixed with warm white leather and touches of metal. The kitchen was enlarged to create a breakfast nook as you enter, with lunch amenities. PN+L successfully added fresh, modern additions to an already timeless space for their client of 15 years. Rennert Vogel Mandler & Rodriguez, P. A.